President Donald Trump's administration hopes to create a sixth division of the military called the Space Force. Mark Kelly, a retired NASA astronaut, tweeted in June that it's "a dumb idea." President Donald Trump and his administration are angling to create a Space Force, a sixth branch of the military that sounds straight out of a sci-fi movie. On Tuesday, Vice President Mike Pence set a deadline for its creation: "Our administration will soon take action to implement these recommendations with the objective of establishing the United States Department of the Space Force by the year 2020," Pence announced. Neither the White House nor the Pentagon can create a Space Force without the approval of Congress, though Trump has pushed for the plan many times since becoming president. At a meeting of the National Space Council on June 16, Trump said, "we are going to have the Air Force, and we are going to have the Space Force — separate but equal." The idea is part of the 2018 National Defense Authorization Act, which became law in December and defines the force as "a separate military department responsible for the national security space activities." It asks the Defense Department to submit a final plan for its structure and functions by December 31. 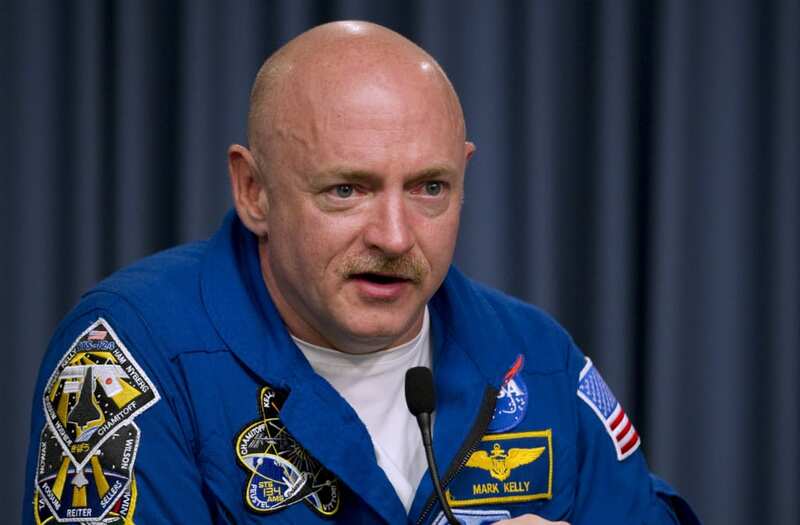 But retired NASA astronaut Mark Kelly — a former Navy pilot, combat veteran, four-time space-flyer, and the identical twin brother of the former astronaut Scott Kelly — doesn't support the plan, and some members of Congress have also voiced their distaste for the idea. "This is a dumb idea. The Air Force does this already. That is their job," Mark Kelly tweeted in June, following Trump's remarks. "What's next, we move submarines to the 7th branch and call it the 'under-the-sea force?'" Kelly reiterated that point yesterday. "There is a threat out there but it's being handled by the US Air Force today," he said during an MSNBC interview, according to Reuters. "[It] doesn't make sense to build a whole other level of bureaucracy in an incredibly bureaucratic DoD." Kelly was referring to the Air Force Space Command, though the group has had different names over the years. Space Command is headquartered in Colorado, and its responsibilities include supporting military use of satellites, rocket launches, and cyberwarfare operations. The group also helps track the countless pieces of space junk and debris around Earth that pose a persistent threat to anything in orbit. Space Command is managed by US Strategic Command, one of 10 groups that direct major pieces of the Defense Department. Its responsibilities include oversight of the country's nuclear-weapons capabilities, which involves space because long-range, nuclear-tipped missiles fly through space. In July 2016, Space Command even announced the creation of a Space Mission Force, which military leadership said was akin to an expeditionary force. This force was created in part to quickly respond to outer-space attacks from adversaries. The main countries of concern are Russia, which continues to publicize newweaponry, and China, which destroyed one of its own satellites in a 2007 test with a "kill vehicle" — essentially a giant bullet launched by missile. "Despite world interest in avoiding militarization of space, potential adversaries have identified the use of space as an advantage for US military forces, and are actively fielding systems to deny our use of space in a conflict," Gen. John E. Hyten, the commander of US Strategic Command, wrote in a white paper about the decision in 2016, when he led Space Command. The Trump administration wants to peel these space-related capabilities from the Air Force, however, and form a new division entirely. Some members of Congress, especially those in the House of Representatives, appear warm to the idea. "As we get all these briefings about what adversaries are doing, our dependence on space, it's clear that we have to do better," Rep. Mac Thornberry, the Texas Republican who chairs the House Armed Services Committee, told reporters in early June, according to Space News. "Organizational changes don't fix all the problems. But on the other hand, they can sometimes help make sure space gets the kind of priority it should have, like cyber, as a domain of warfare." But others in Congress — and apparently some high-ranking military officials — have, like Kelly, questioned and pushed back on the idea of a Space Force. "The president told a US general to create a new Space Force as 6th branch of military today, which generals tell me they don't want," Democratic Sen. Bill Nelson of Florida tweeted on June 18. "Thankfully the president can't do it without Congress because now is NOT the time to rip the Air Force apart. Too many important missions at stake." Stationing or testing any weapons of mass destruction in space, including nuclear weapons, is banned by the United Nations' Outer Space Treaty of 1967. While peaceful use and exploration is permitted, smaller-scale weapons are not explicitly barred, and experts fear that militarizing space with them could stoke a costly new arms race. A war in space might also lead to something called a Kessler event. In this scenario, uncontrolled space debris could collide and create even more uncontrolled space debris, ultimately shutting off human access to space for decades, if not centuries. This story has been updated with new information. It was originally published on June 19, 2018.